The North Korean leader has ordered talks on sending a delegation to the upcoming Olympics with South Korea and the reopening of the inter-Korean border hotline at Panmunjom, a DPRK official announced on Wednesday. 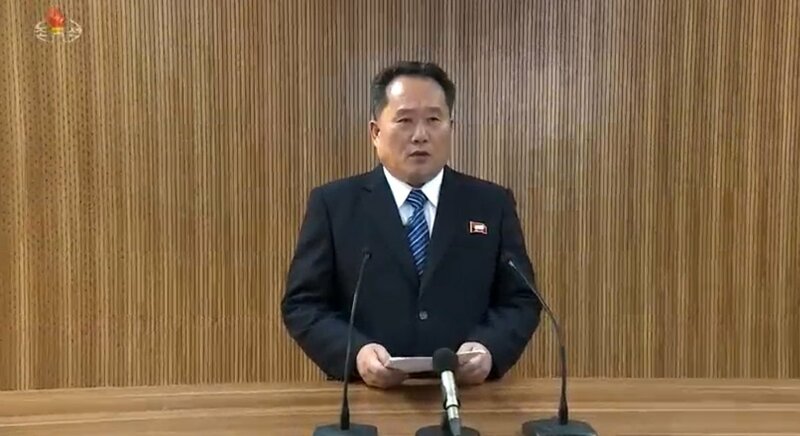 Ri Son Gwon, chairman of the Committee for the Peaceful Reunification of the Country (CPRC), read the statement “delegated from” Kim Jong Un at a news conference televised by the state broadcaster Korean Central Television (KCTV). In remarks translated by NK News, the CPRC chairman said the North Korean leader “gave the instruction to open the communications channel at Panmunjom between the North and the South” from 1500 Pyongyang time. Ri explained Kim Jong Un made the decision to discuss issues related to the upcoming PyeongChang Winter Olympics “including the dispatch of the delegation” with Seoul. The decision sees the border hotline, which was suspended in February 2016 by the DPRK after the Park Geun-hye administration’s unilateral closure of operations at the Kaesong Industrial Complex (KIC), re-opened. The two Koreas previously held talks over phones installed at the liaison offices in Panmunjom twice a day at around 0900 and 1600 KST. 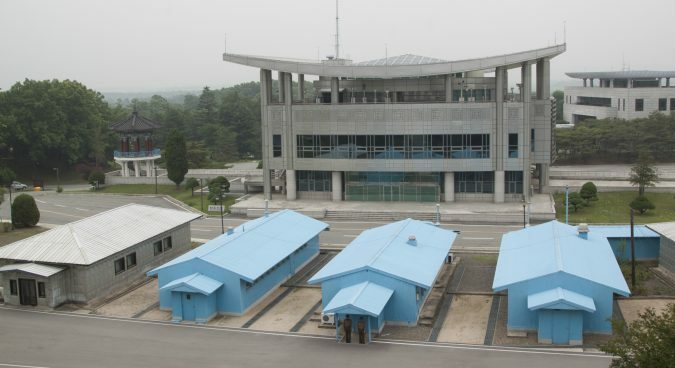 The Ministry of Unification (MOU) confirmed to NK News that the North had made a phone call through its liaison office at Panmunjom at 1530 KST. Both sides sought to establish whether telephone and fax operated normally, with the MOU declining to give further details on what was discussed. But while South Korea’s Minister of Unification Cho Myoung-gyon on Tuesday expressed hopes that the two Koreas would discuss “various pending issues,” Pyongyang appears to have already set the agenda for talks. 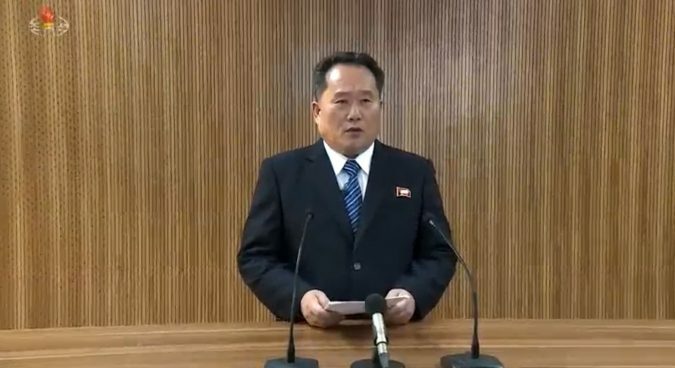 “We will make a close connection with the South with serious position and sincere attitude in obedience to our supreme leadership’s decision,” CPRC chairman Ri said in the televised news conference. The announcement came less than 24 hours after Seoul’s unification minister proposed holding a high-level government meeting with Pyongyang on January 9 on the South Korean side of Panmunjom. Ri also said Kim Jong Un “positively and highly appreciated and welcomed” the South Korean presidential office’s stance and Moon’s response to his suggestions. “[Kim] emphasized whether the issue of improving the North-South relations is resolved living up to the expectations and wishes of the entire people in the future entirely depends on how the North and South Korean authorities will deal with the issue responsibly,” he continued. The chairman also said the leader “provided specific instructions on how to take practical measures urgently with serious position and sincere attitude” to relevant state organs, including the CPRC, the National Sports Guidance Committee (NSGC), and the United Front Department of the Central Committee of the ruling Workers’ Party of Korea (WPK). But despite Pyongyang officially expressing its willingness to hold talks with the South, the North Korean official did not say whether the North agreed with the timing or the venue proposed by the South Korean unification minister. Chun Yung-woo, former South Korean chief nuclear negotiator at the Six-Party Talks, said the success or failure of the meeting depended largely on how much Seoul would be willing to concede to the North. “There are chances that we have to give North Korea something more precious that North Korea’s participation in the Olympics. And that’s what North Korea wants,” Chun told NK News. The North’s overture could be a “strategy to drive a wedge between the ROK and the U.S.,” Chun continued, arguing that Kim may ask Seoul to pause upcoming annual joint military exercises in exchange for DPRK participation in the 2018 Winter Olympics. Another expert said the meeting is unlikely to be confined to sports issue, saying it was notable that the CPRC – which deals with inter-Korean issues – had made the announcement. Cha Du-hyeogn, a visiting research fellow at the Asan Institute for Policy Studies, said Pyongyang may place “preconditions for diffusing peninsular tensions” while negotiating the agenda for the talks. The suspension of upcoming joint military drills is likely to be raised, he said, pointing out that Ri’s statement suggested that the dispatch of the delegation was conditional on Seoul meeting the North’s demands. Kim Jong Un’s New Year’s Day speech on Monday saw the North Korean leader send a nuclear warning to the U.S. but extend a rare overture to Seoul, expressing a willingness to “urgently” hold an inter-Korean meeting on the upcoming Winter Olympics.